Will review Za True White Emulsion. I was excited for this product since most of the emulsion sought of formulas suit my combination oily skin. 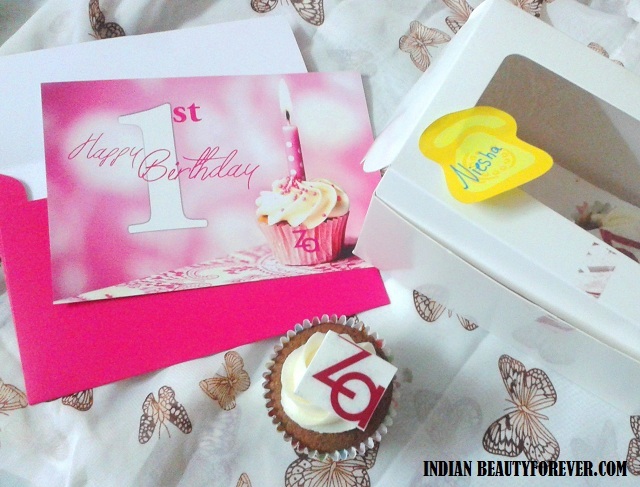 By the way, this earlier this month za completed one year in India and to celebrate Za first anniversary, Za team had sent me cupcakes. That was really good gesture!! I am happy to be a part of it. In fact I have realized that most of the za true white products were really good for the oily combination skin which is like cherry on cake since finding products that suit oily combination skin is not an easy task. I still love their collagen cream and true white toner. Anyways, let’s move on with the review. Za True White Emulsion is priced at 899 rupees in India and their products are available on Nykaa.com, flipkart.com and some other online shopping sites. Product claims: This feather-light, non-oily emulsion easily permeates into the skin to give translucency, brightness, even-tone while replenishing moisture levels for an incredibly soft and smooth skin. The packaging of Za True White Emulsion is same as that of the True white toner. This emulsion resembles a cleansing milk and has a subtle pleasing scent. It is slightly translucent with milky texture and is light weight while I try to massage it over the skin. it will not feel heavy at all after the application though would need extra massaging so that it gets in. My skin feels dewy, nourished and hydrated. The emulsion is moisturising enough for my skin. For my skin this was perfect and I really loved it. I use it everyday and even before using the foundation. It acts as a good base for makeup. I like the dewy, moisturised yet non greasy feel that this Za True White Emulsion gives which is just amazing. By the way, it will work for dry skin as well since my mum used this and said that this give decent hydration though little extra is needed at times when moisturization for dry skin is considered. This made me conclude that this would be a perfect moisturiser for combination, normal and sensitive skin and for the extremely oily and extremely dry skin, you may have to decrease the quantity and top off other cream respectively. 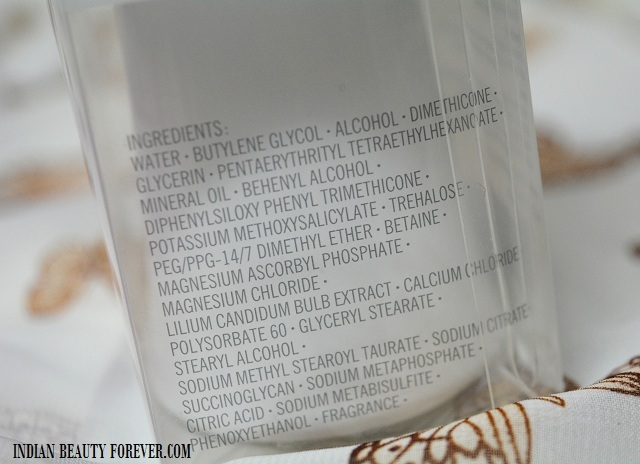 But it’s a product that can be easily slipped into your skin care regimen. Earlier I was using a green tea moisturiser which was very good but after I got this I have literally stopped using that. Honestly both are good for oily combination skin. I could not find any flaws in this product except that as I said, for very oily skin you may get slightly greasy but reducing the quantity will work just perfectly. So, Do I recommend ? Yes, I do. I am using this day and night. For the day time, When I go out I use sunscreen prior to using this. It may seem expensive but considering that it is 125 ml while most of the creams at this price are for 30 g or 50 g only and also it takes just a drop for normal to oily skin so it will last really long. This is why I would say price is well justified. Take: I loved the Za True White Emulsion and it work just perfectly fine to give hydration and moisturization to my skin without making it greasy. Its light weight texture gets into the skin properly and skin feels nourished. It is really nice dear! Nice review Nieshu. This looks decent enough, have not explored much of their range. But they have worked for my skintype so far.